Dunn County with its busy little towns of Killdeer, Manning, Dunn Center, Halliday and Twin Buttes. 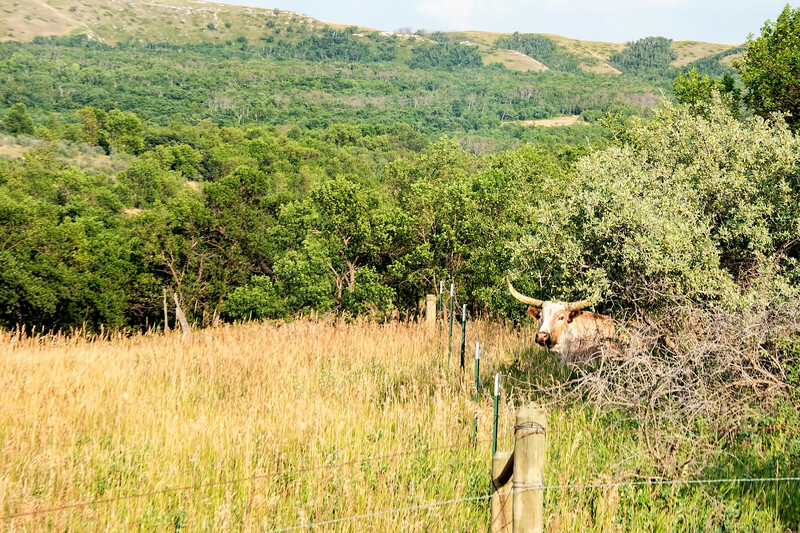 For 150 years, longhorns have been found in the Killdeer Mountains, first driven up here in cattle drives from Texas, and then raised by cattlemen in the area. They're not very beefy, so you won't find many here, except as oddities. You can own this image as wall decor or as other products. To browse the products, just click "buy" and look for something you would like to purchase.